Inaugurated in 1995, the Israel National Trail (INT) is a 680 mile (1,100 km) trail that crosses the entire country from North to South. The trail was blazed through a variety of natural and human landscapes, exposing hikers to Israel's many eco-systems and habitats. In 2012, National Geographic named the INT one of the "holy grails of hikes", and placed it among the top 20 epic hikes in the world. "Passing through vast empty deserts and winding into kibbutzim, the Israel National Trail (INT) delves into the grand scale of biblical landscapes as well as the every day lives of modern Israelis (with opportunities to stop in the cities of Tel Aviv and Jerusalem). But beyond the immense sense of history and breaking news, the trail powerfully connects to something that often gets lost in all the headlines -- the sublime beauty of the wilderness of the Middle East. The southern end of the trail crosses the harsh and lovely Negev, still populated by wandering Bedouins and long-horned Nubian ibex and filled with wildflowers in the spring. There's not much water to drink along the way, though the trail crosses plenty of wet spots. It dips into the 600-foot-below-sea-level waves of the Sea of Galilee, flanks the baptismal River Jordan, and runs along Mediterranean beaches north of Tel Aviv. The southern terminus ends in the resort town of Eilat on the Red Sea. THE ULTIMATE SMALL SIZE GUIDE FOR THE ISRAEL NATIONAL TRAIL! 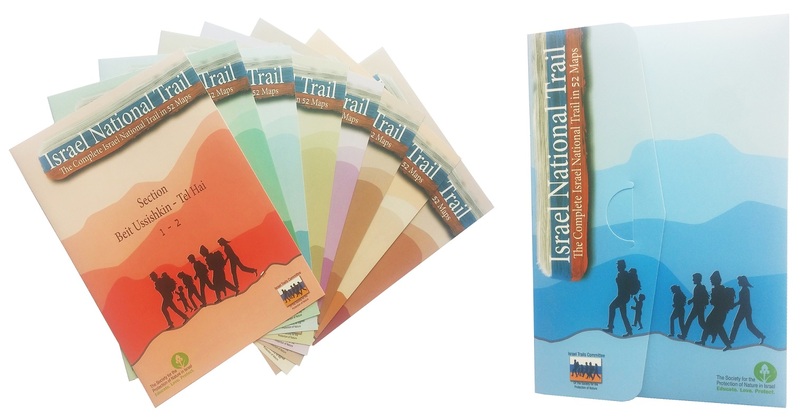 be sure to get your set of Israel National Trail (INT) maps in English. This beautiful new set includes 52 maps – printed on A4 size glossy paper, each dedicated to a specific segment of the trail – that highlight places of interest found along the INT as well as the trails intersecting with it. The scale of most of the maps in the set is 1:50,000 or under ; few of the maps scale between 1:60,000 to 1:110,000 in order to fit the A4 page format. and costs only ILS 160 (excluding shipping and postage). SPNI's Israel Trail Committee (ITC) plans trail routes, marks the trails, and maintains trail signage for about 9,000 miles (15,000 kilometers) of trails, taking responsibility for the entire length of the Israel trail. We publish the most detailed hiking and touring maps of the country, and the unique topographical maps are of such fine resolution (1:50,000 scale) that they are an essential item carried by every hiker and off-road jeep driver! The biggest blessing here comes in the form of "trail angels" along the Israel National Trail who give a helping hand and often offer a place to stay free of charge to passing hikers. Whether you're hiking on your own or in a group, SPNI has the resources below to help you get started! 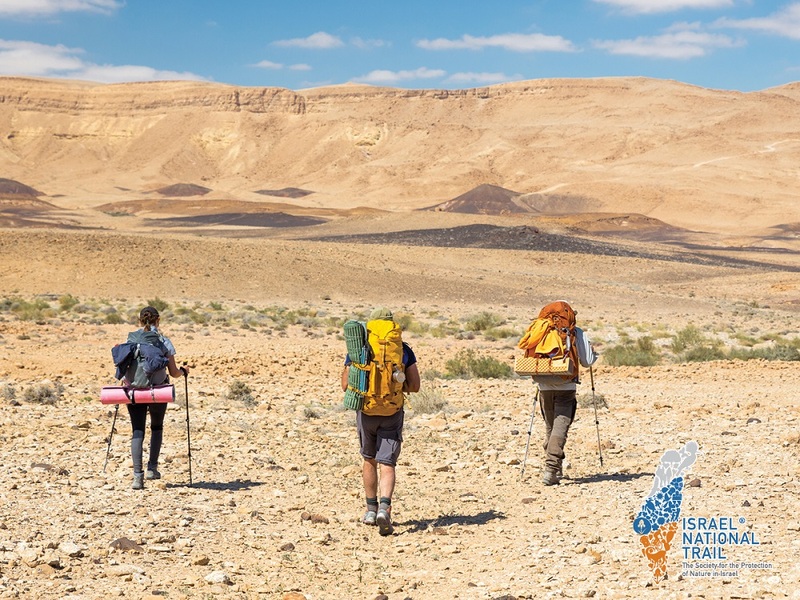 Hiking the Israel Trail has become a popular phenomenon among Bar Mitzvah kids, newlyweds hike it for their honeymoon or anniversary, and before the army many young Israelis hike the Israel Trail. Many young Israelis hike the Israel trail after completing major milestones in their lives. Every person who hikes the Israel Trail stops in at SPNI's map shop for the detailed hiking maps and consults with ITC staff for any questions or problems they encounter. Every two weeks, the ITC gives a briefing on hiking the Israel Trail (SPNI maps are available at a discount at these briefings) – to sign up for the lecture or for information on hiking the trail, contact shvil@spni.org.il or call 03-638-8719.